I just love a book that encourages difference! I don’t know about you, but I want my children to have the confidence to walk whatever path they choose to in life. Coco Chanel had confidence and determination in spades and ‘Different Like Coco’ is the perfect introduction to an inspiring woman. Gabrielle ‘Coco’ Chanel was always different. She was poor, skinny and orphaned, yet she held stubbornly to the belief that she was just as good as any of the wealthier, well-bred girls of Paris. Coco was determined to show the world that being different could be an advantage. With a talent for sewing and a creative mind, Coco began inventing clothing that suited her. By the time she was 50, Coco Chanel had put an indelible mark on Western culture and fashion. 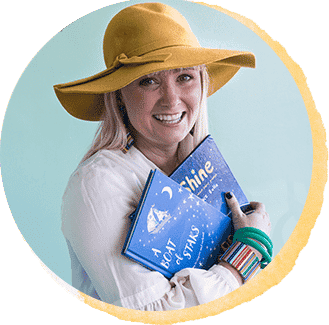 This would be the perfect baby shower book gift for a fashion conscious, LBD loving friend or relative; it’s a picture book for older children (and adults – I loved it! ), but perfect for the shelves of a nursery, a true keepsake book. 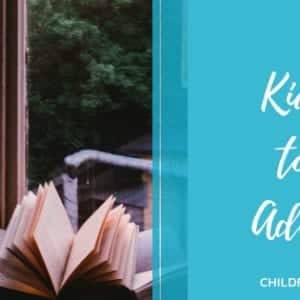 I’ve also know of more than a few pre-teen girls who are going through their Audrey Hepburn and Coco Chanel phase (I so wanted to be Audrey or Coco) and would adore this book. However this is so much more than the story of a fashion icon; it’s a celebration of difference and being true to yourself. Some of Chanel’s best known phrases decorate the endpapers: The most courageous act is still to think for yourself. Aloud; In order to be irreplaceable one must always be different; and There are people who have money and people who are rich. What great quotes for young people to embrace! 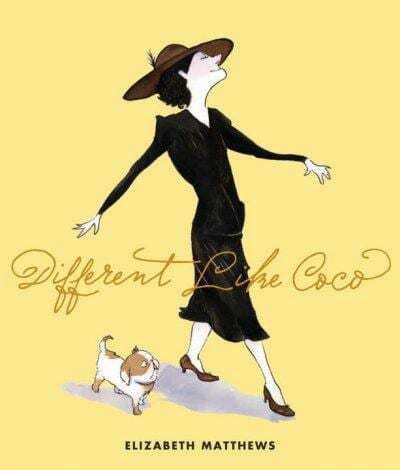 ‘Different Like Coco’ is elegant and sophisticated in design, and fascinating and detailed in story – perfect for a story about Coco Chanel who was all of those things and more. I’m a big fan of narrative non-fiction – a wonderful mix of story (fiction) and fact (non-fiction). ‘Different Like Coco’ is a short biography, with a ‘fashion timeline’ at the back, and a bibliography for the child who wants to go off and find out more. It also has a great finish: Everyone loved Coco. And she was always different. To add this book to your home or school library click here.